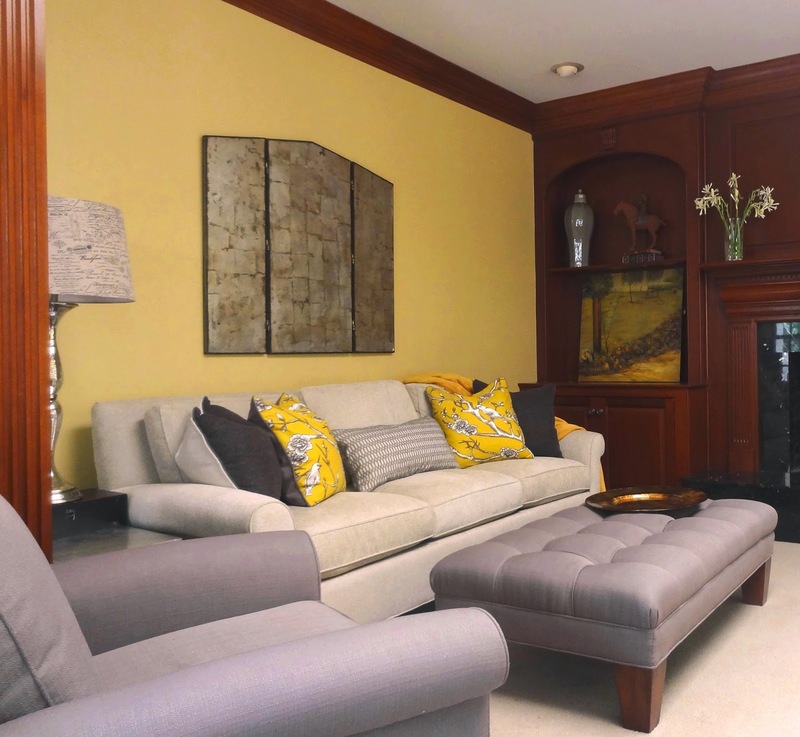 Are you wondering if you should paint over the wood stained bookcases & mantle? Well you might want to consider the quality of the wood. Is it solid cherry or mahogany? Or is it a lower grade wood that you do not like? Is the room dark? Are you interested in a brighter room? Keep in mind you can paint your bookshelves other colors (besides white), consider tan, taupe, gray, as shown on the bookcases and TV surround below. 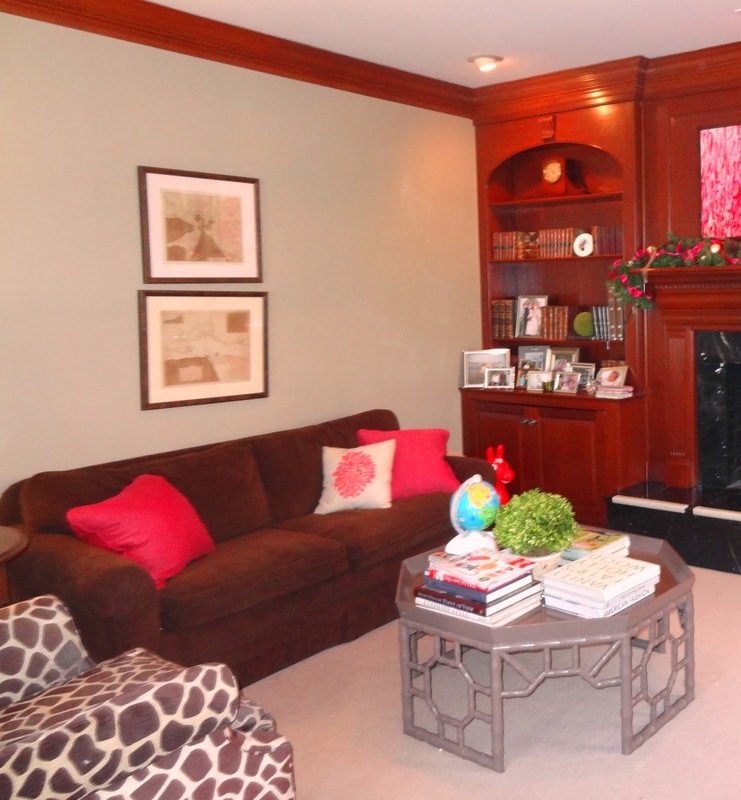 Here’s a clients home in Irving Park, the wood on the mantle and bookcases is actually a very high quality solid cherry. When you’re not willing to paint the wood, you can always use lighter fabrics – notice how the off white sofa brightens the room more than the brown sofa. 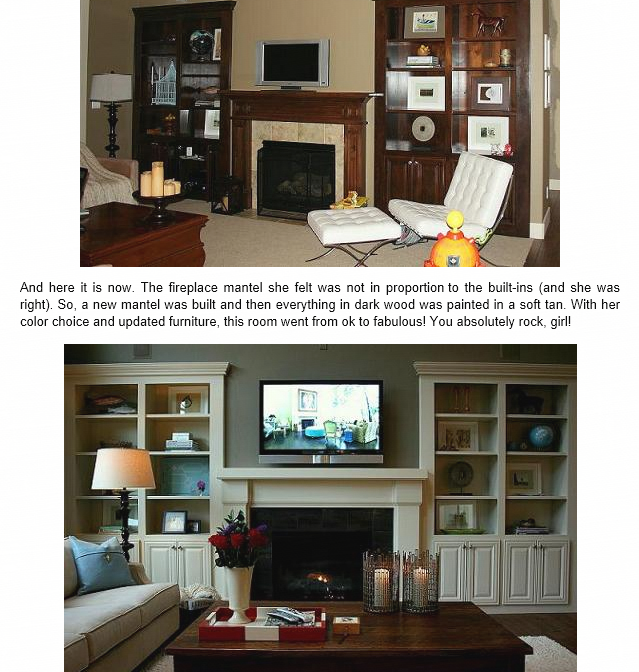 Here are some photos of rooms (before and after) with painted shelves & mantle instead of stained wood. 1) Paint the back wall only, in off white. Whether to paint your bookcases and mantle is a personal choice – the majority of people telling us they love a clean lighter look of paint instead of stain, but if your wood is high quality you could try several other options first, to see if it solves what you don’t like about the room. I love the color of the mantle in the first picture. In our new home, we have wood stained built ins from the 1960s and they look very outdated. White would be a ''safe' and generic color choice, but the color in the photo would add a lot to the room. Thanks for such a cool idea!